Custom paper, GF Smith Colourplan Tabriz Blue duplex with Pristine White and rounded at the edges. 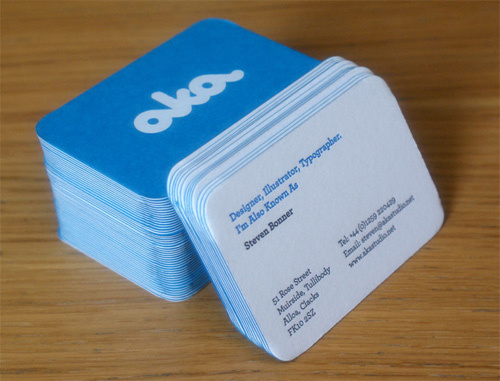 The blue side features a white foiled log while the reverse uses two colour letterpress for the copy. Design by Steven Bonner at Also Known As. The printing is done by Piccolo Press in Nairn, Scotland.